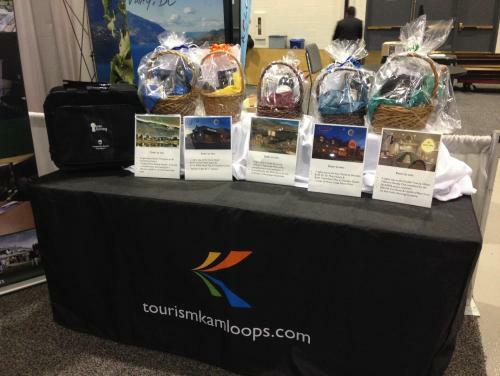 On October 28th 2015 TK attended the tradeshow portion of the CSAE Conference in Calgary, Alberta. The purpose of attending was to support our industry partners in showcasing Kamloops as a destination for meeting locations. It was a 4 hour show that we purchased 2 booths (10x20) and we were joined by Doubletree, 4 Points Sheraton, Coast, TRU Open Learning, STIGR & Hotel 540. We had 6 contests at our booth and collected 60+ business cards from various association representatives. There were approximately 350 delegates that attended CSAE in Calgary. Next year it is in Toronto and we hope to participate again.